A lot has been going on on the diplomatic front over the U.S., Israel, and Iran over the weekend. Things are on a boil because of Israeli PM Benjamin Netanyahu’s upcoming speech to Congress in March, the Israeli elections that month, and the impending deadline at the end of the month on the P5+1 talks with Iran. Here are some of the reports. First, David Ignatius in the Washington Post has published a widely-circulated story on a supposed breakdown in confidence between the U.S. and Israel because Netanyahu allegedly leaked details of the U.S. negotiating position that President Obama had conveyed him in confidence to Israeli journalists. The decision [by the U.S.] to reduce the exchange of sensitive information about the Iran talks was prompted by concerns that Netanyahu’s office had given Israeli journalists sensitive details of the U.S. position, including a U.S. offer to allow Iran to enrich uranium with 6,500 or more centrifuges as part of a final deal…. An initial report Sunday by Israel’s Channel 2 news that the administration had cut all communications with Israel about the Iran talks was denied by White House spokesman Alistair Baskey. Sources here said that Philip Gordon, the Middle East director for President Obama’s National Security Council, would see Israeli national security adviser Yossi Cohen and other senior officials on Monday. The discussion would include Iran policy, but U.S. officials aren’t likely to share the latest information about U.S. strategy in the talks. Ignatius’s tick-tock on the spat goes back before the invitation from the Republican leadership of Congress to Netanyahu to speak following Obama’s State of the Union speech. 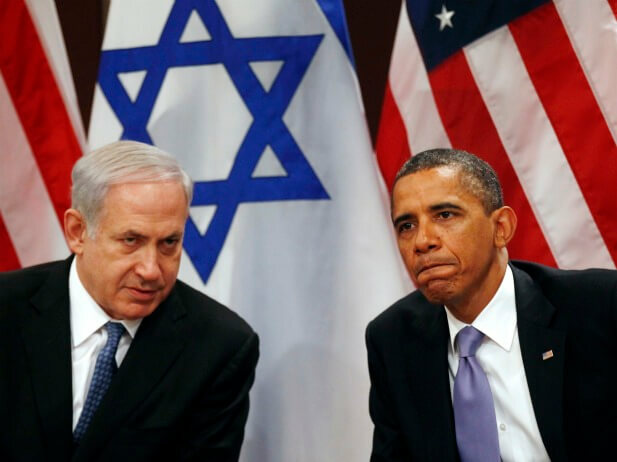 This latest breach in the U.S.-Israeli relationship began around Jan. 12 with a phone call from Netanyahu. Obama asked the Israeli leader to hold fire diplomatically for several more months while U.S. negotiators explored whether Iran might agree to a deal that, through its technical limits on centrifuges and stockpiles, extended the breakout period that Iran would need to build a bomb to more than a year. But Netanyahu is said to have responded that a year wasn’t enough and to have reverted to Israel’s hard-line insistence that Iran shouldn’t be allowed any centrifuges or enrichment. Relations began to unravel quickly after the phone call. On Jan. 21, House Speaker John Boehner (R-Ohio) invited Netanyahu to address Congress and share his concerns about the talks. The invitation hadn’t been pre-negotiated with the White House, as is usually the case when foreign leaders are invited to address Congress. Then came the alleged leaks about the nuclear talks. On Jan. 31, the Times of Israel reported that an unnamed senior Israeli official had told Channel 10 TV news that the United States was ready to allow more than 7,000 centrifuges and had “agreed to 80 percent of Iran’s demands.” Channel 2 reported that the U.S. offer was 6,500 centrifuges. U.S. officials believed that Netanyahu’s office was the source of these reports and concluded that they couldn’t be as transparent as before with the Israel leader about the secret talks. The Iran issue will come to a head next month. Netanyahu’s speech to Congress is scheduled for March 3. Israeli elections, in which Netanyahu is running against a coalition of more moderate Israeli politicians, will take place March 17. The deadline for reaching a framework deal in the Iran negotiations is March 24. It’s a month that could shape the future of the Middle East, not to mention the U.S.-Israeli relationship, for years to come. Some proponents of a nuclear deal with Iran may welcome this news as demonstrating that Netanyahu is a bad actor who should be sidelined from the negotiations process. But this would be misguided, and even proponents of a deal should worry about this development. One reason that Iran is willing to negotiate at all is that the US has succeeded in putting enormous pressure on the country and its nuclear program — often with crucial Israeli help. That has meant both gathering intelligence and, in cases such as the 2010 cyberattack on centrifuges via the Stuxnet virus, offensive operations. Which, of course, brings to mind once again Netanyahu’s demonstrated regional expertise in his enthusiastic promotion of the invasion of Iraq in testimony before the House Committee on Oversight and Government Reform on September 12, 2002. His appearance was transparently part of the Bush administration’s (and the neoconservatives’) campaign to persuade Congress to approve the Authorization to Use Military Force (AUMF) against Iraq—which it did one month later, on October 16, 2002. The excerpts of Netanyahu’s “wisdom” are to die for. Chris Matthews really owes it to his viewership to air this testimony in advance of Netanyahu’s visit. More in the unhinged department. 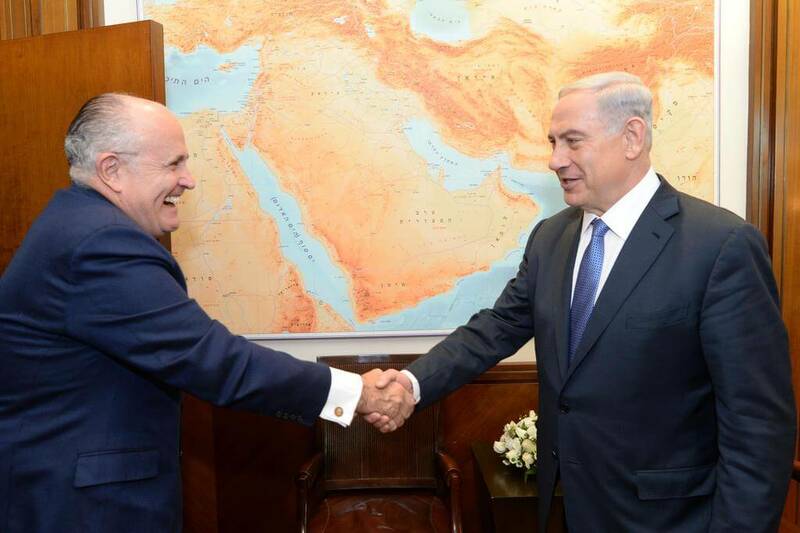 Former NY Mayor Rudolph Giuliani met Netanyahu two weeks ago (above). Now he calls Obama a “moron” for dealing with Iran. [Talking to Iran] is like playing poker with a guy who cheated you twice before. You know who does that? A moron. An agreement with Iran in to regard to nuclear power should be very simple. Iran should not be allowed to have any form of nuclear power…. The Ayatollah is insane. He’s like the guy walking around Bellevue Hospital thinking he’s George Washington. He’s a madman.. And we’re upset that Prime Minister Netanyahu wants to come here and defend his country?